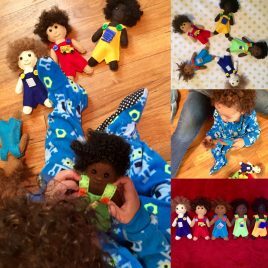 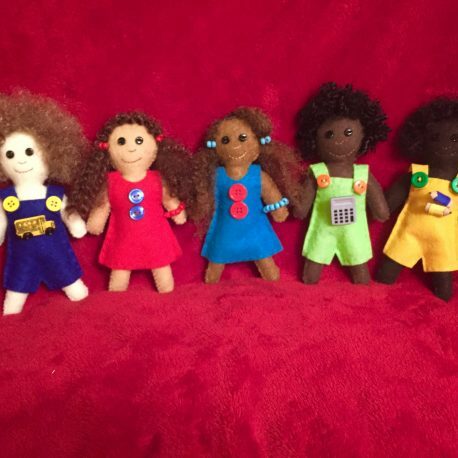 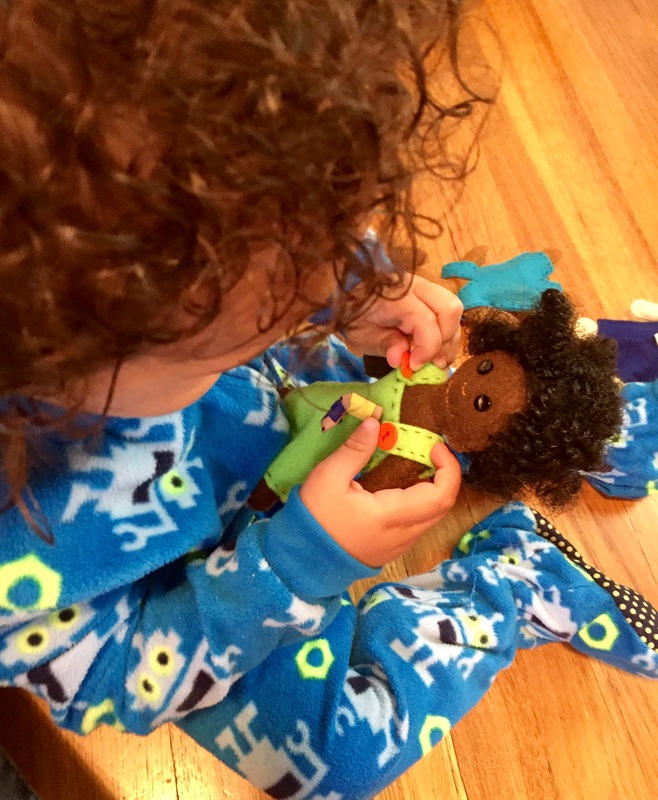 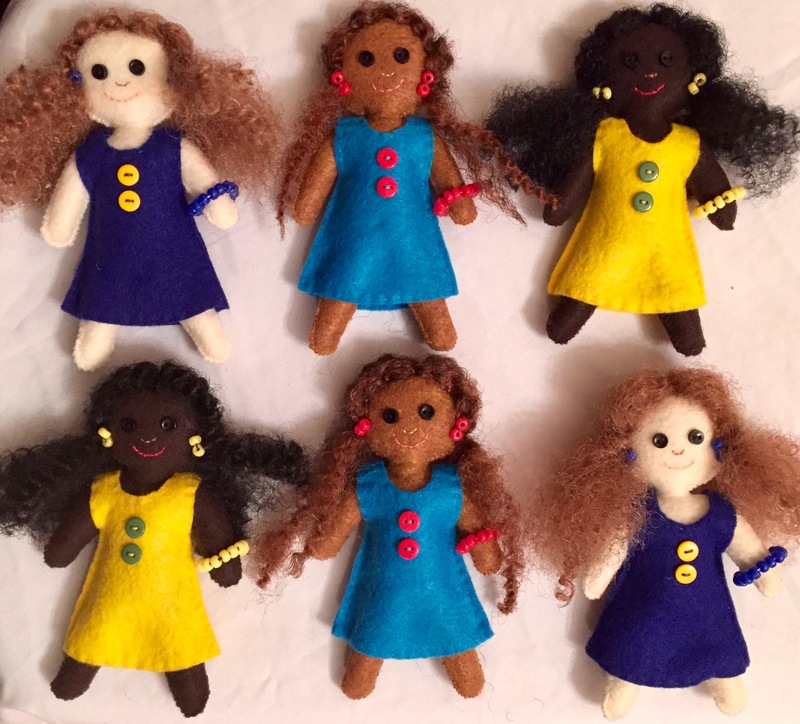 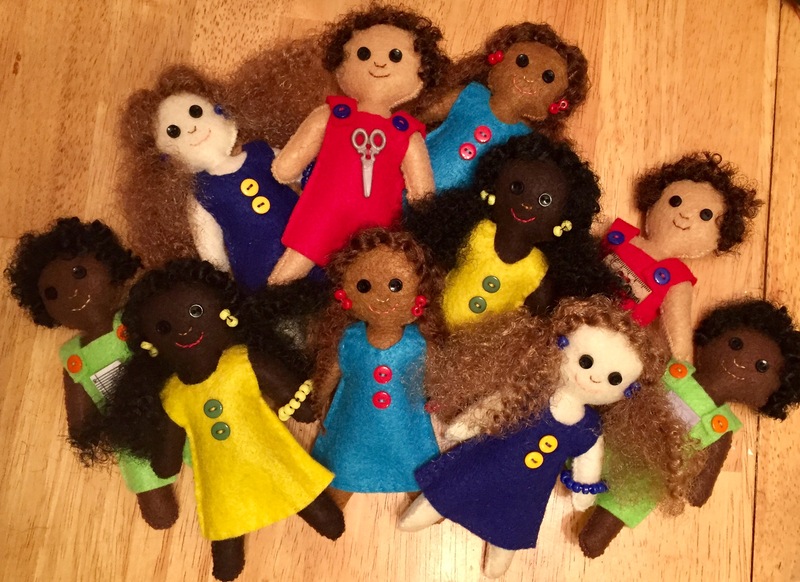 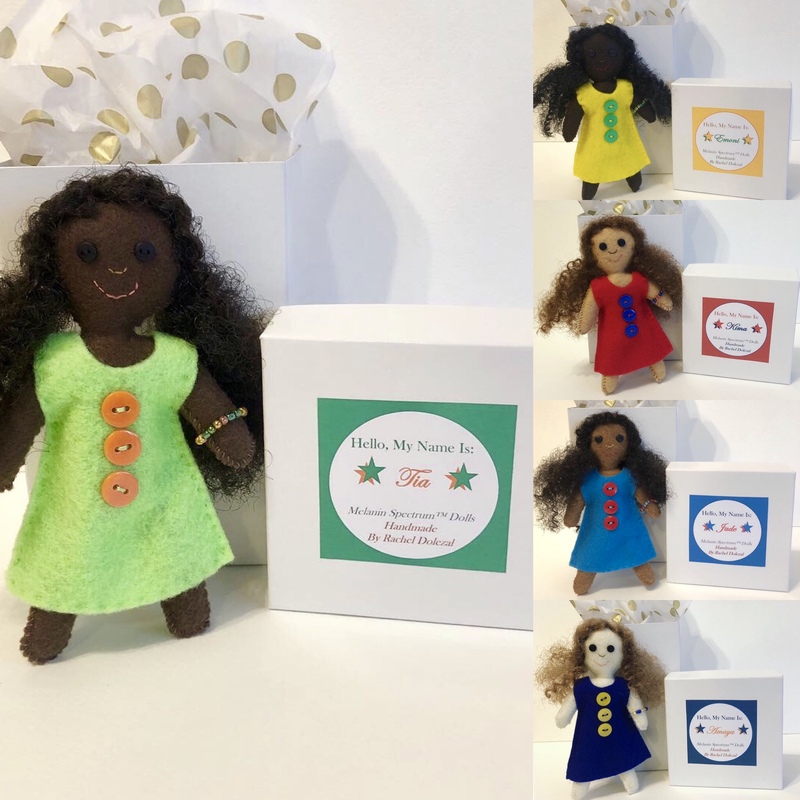 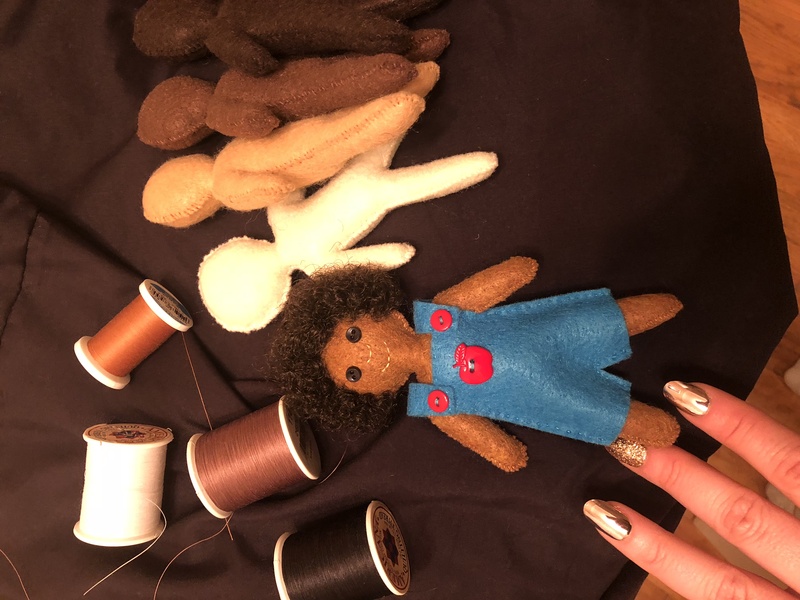 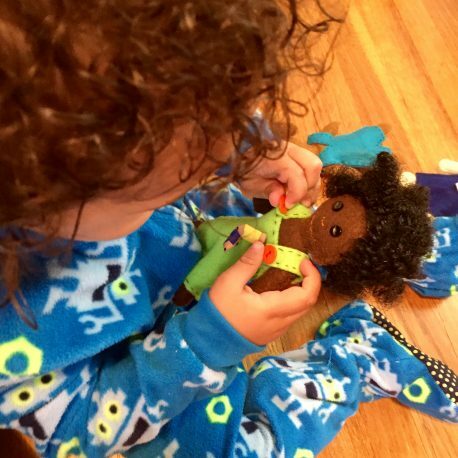 Dolls are hand-sewn using high-quality felt, naturally-textured synthetic hair, buttons & beads. 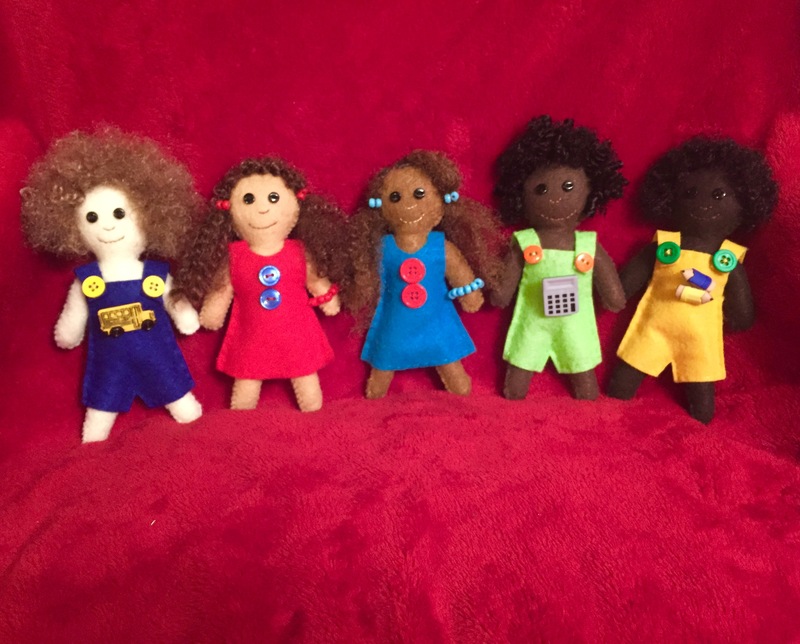 Assorted girl and boy dolls as shown (each set varies slightly, with 3 girl dolls and 2 boy dolls). 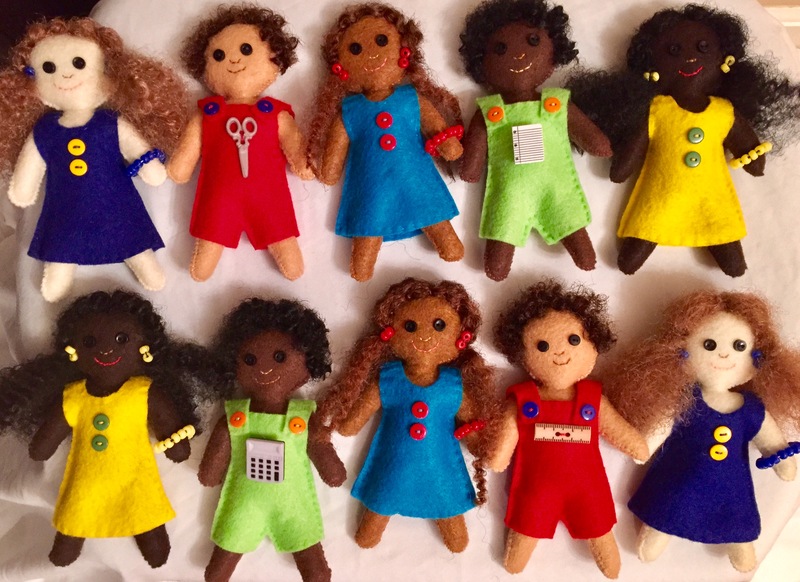 *Please specify if non-gender-binary dolls are preferred.